Woollyhugs > Latest.. > Auction > Spring Auction 2019 > Spring Auction. Number 121. It’s Dorcas Needletweet! Spring Auction. Number 121. It’s Dorcas Needletweet! 121. Oh! Birdie! It’s Dorcas Needletweet! This is wonderful! 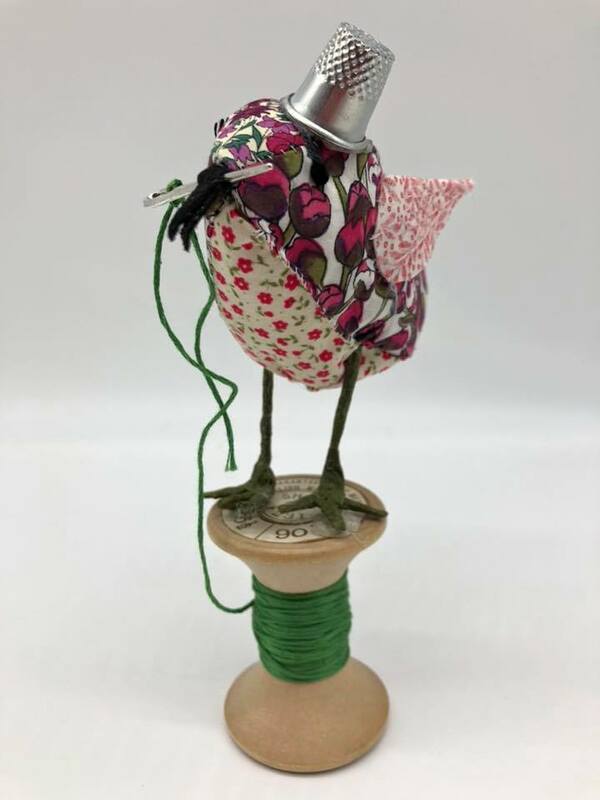 Very much a decoration and not for children, this adorable Birdy holds a needle in his beak, and stands approx 18cm tall love him from his thimble hat to his cotton reel. item name : Spring Auction. Number 121. It’s Dorcas Needletweet! Spring Auction. Number 116. Russian doll style Easter Bunnies! Spring Auction. Number 131. Bunny ballerina.